Our special November/December issue of Compact Equipment is full of holiday gift ideas. Almost any equipment owner or operator will find something they want in our two big stories that detail the most innovative machines released in 2018. 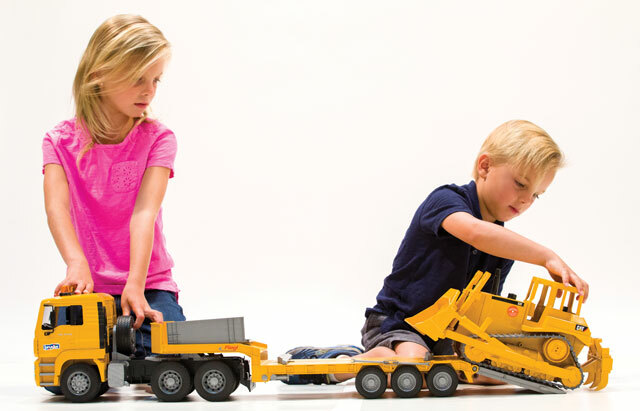 To complement that gift guide, here are five construction-focused gifts for kids that you could probably just buy for yourself. In the not-too-distant future, Volvo Construction Equipment will be building autonomous equipment. Until then, I’ll have to make due with the ZEUX. 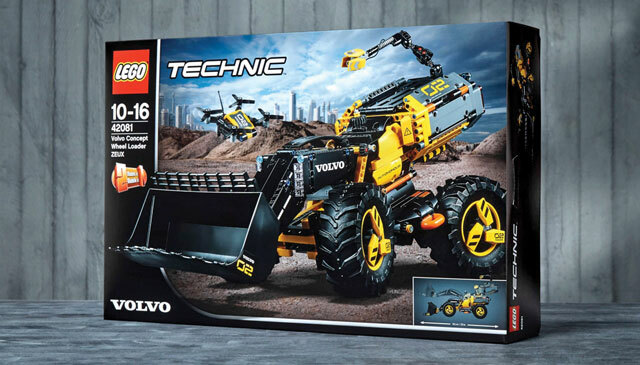 It’s a LEGO Technic set of an autonomous wheel loader that has a scout drone and a camera boom called the Eye. Please don’t touch mine. Get your own at volvobrandshop.com. I would definitely embarrass myself trying to construct this John Deere 380G excavator from Meccano. The challenging design incorporates three working hydraulic cylinders and pistons and an arm with articulation that shows the power of pressurized fluid. Feel no shame using YouTube. 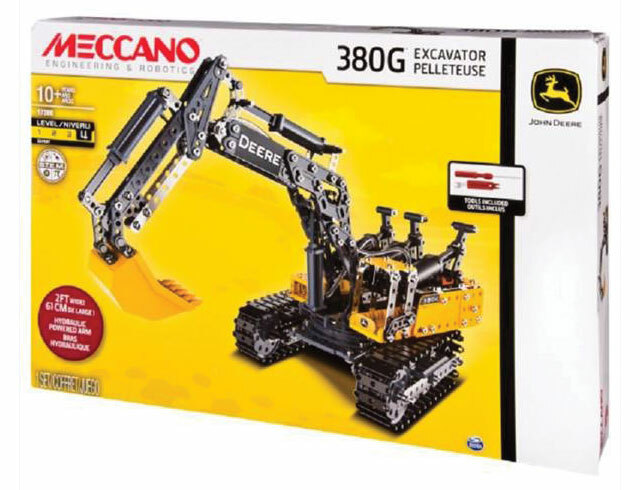 Visit meccano.com. 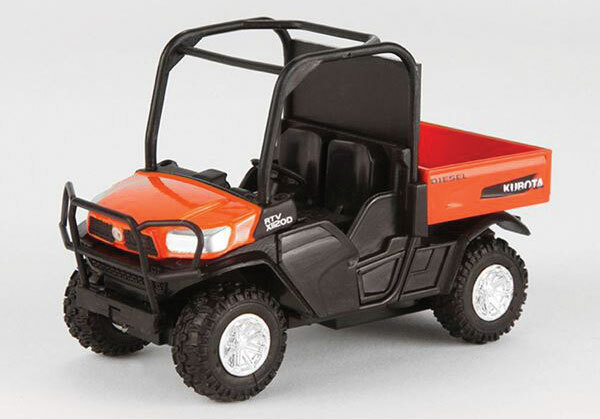 Kubota sells these fun RTV-X1120D and RTV-1140CPX utility vehicle toys that actually shoot forward via a pull-back-and-let-go, reverse-wind spring motor. We got a bunch in the office, and the editors keep sending torpedo RTVs at each other. Kids will probably like’em too. Visit kubota-gear.com. Bruder makes toys that I would never let my kid play with. Because that toy is now mine. Example: Its Man TGA Loader Truck Cat Bulldozer comes with both a beautiful Cat bulldozer toy and a trailer with fifth-wheel coupling. I might not even take it out of the box. It devalues it! Visit activetoys.com. 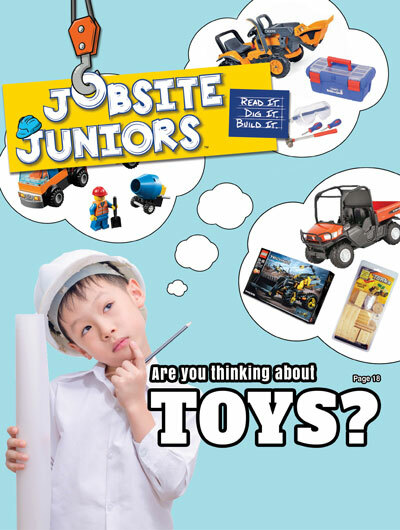 Benjamin Media, CE’s publishing house, actually publishes a magazine for kids four to 10 years of age focused on the construction industry. It’s called Jobsite Juniors, and it is packed full of education, games, stories and loads of cool pictures. I enjoy reading every issue. Visit jobsitejuniors.com.